Well the biggest news event this month was the sale of Stagecoach Vineyards to E. & J. Gallo, the world’s largest family-owned winery for a reported One Hundred and Eighty Million Dollars. Stagecoach Vineyards is the largest contiguous vineyard in Napa Valley with more than 600 acres planted mostly to Cabernet Sauvignon. 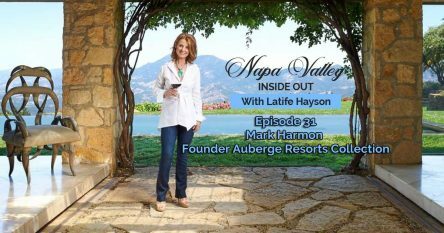 The 1,300 acre property is located in Napa’s Vaca Mountains, in the highly-regarded Pritchard Hill Region and Atlas Peak AVA, famous for its dramatic terrain, rolling hillsides and exceptional cult quality grapes that are highly sought after. The grapes are sold to more than 90 wineries that typically sell their wines for at least $100 a bottle. 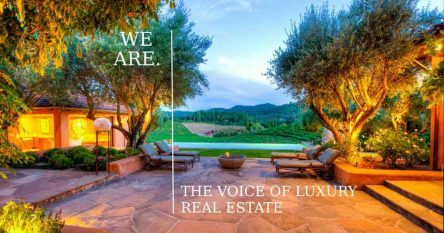 The purchase of this iconic Napa Valley vineyard property shows that Gallo sees a strong future in the luxury wine market. I actually wrote an offer on this property about 10 years ago for Seventy-Five Million Dollars when there were only 400 acres planted. I can tell you it is one of the most extraordinary properties I have ever seen and I will never forget touring it in an ATV with Dr. Jan Krupp and my buyers. George Altamura and his son George Junior have announced the re-opening of Rancho Caymus Inn in Rutherford on Rutherford Road just behind the Rutherford Grill. The Altamuras remodeled the Inn and are accepting reservations from June 1, 2017. Rancho Caymus Inn features large suite style rooms with living areas, fireplaces and private patios. The intimate hotel wraps around a plunge pool and spa. Accommodations include complimentary continental breakfast in-room or in their guest lounge. They will also feature weekly wine and cheese gatherings with local vintners. Solage Resort in Calistoga has a new Executive Chef Massimo Falsi, originally from Italy, who will be overseeing the resort’s Michelin Star restaurant – Solbar. Falsi’s resume includes Executive Chef at the Four Seasons Resort in Hualalai, the Waldorf Astoria, Ferrari World Abu Dhabi and La Plage Resort. Very impressive – doesn’t sound like we will be disappointed. Enjoy the rest of the newsletter which is dedicated to new restaurants, hotel openings and sales and some fun upcoming events that you won’t want to miss.